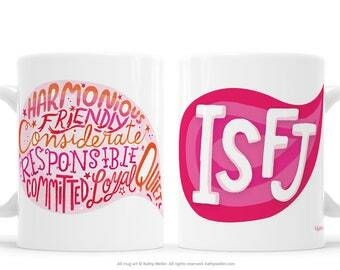 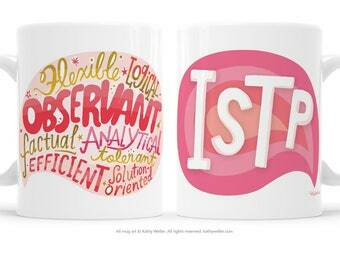 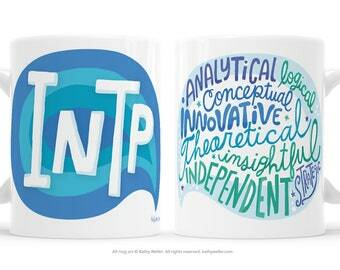 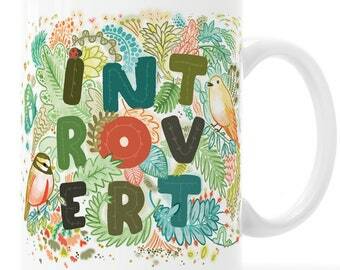 The INTROVERT mug lets everyone know you who you are, without reservation or apology, in an attractive and cute design! 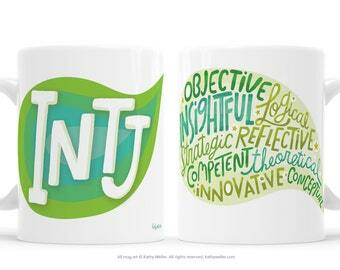 This is a high-quality white ceramic mug, dishwasher and microwave safe. 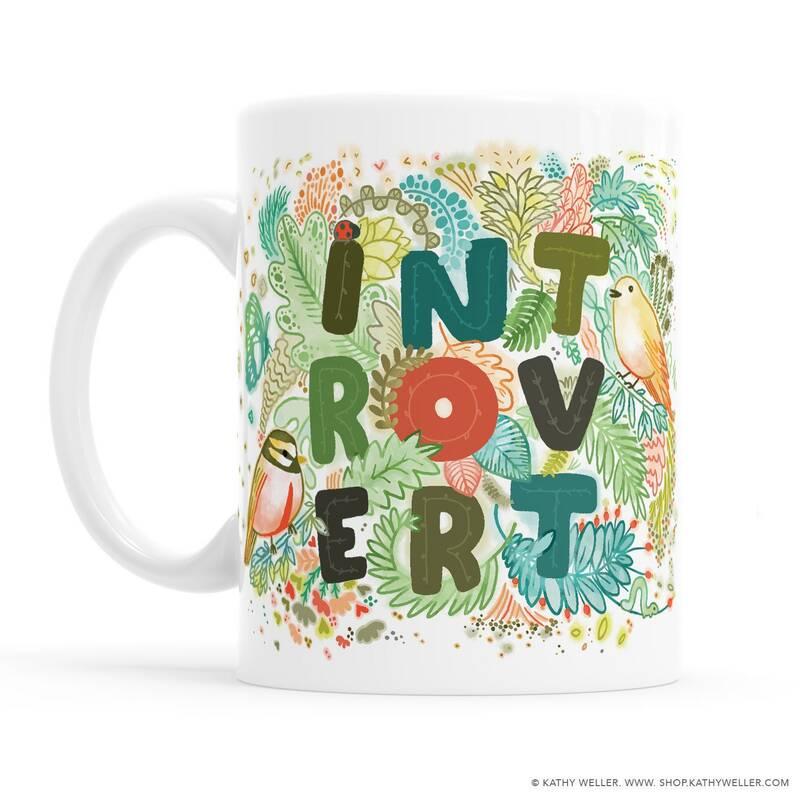 Design is unique and original, by Kathy Weller. 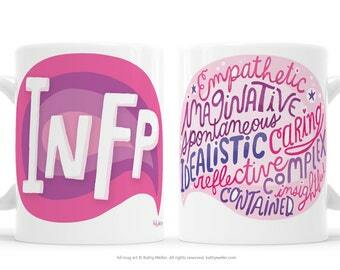 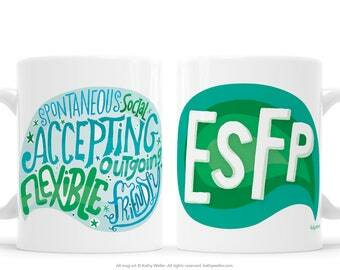 Mug design repeats on both sides of mug: lefties and righties unite! 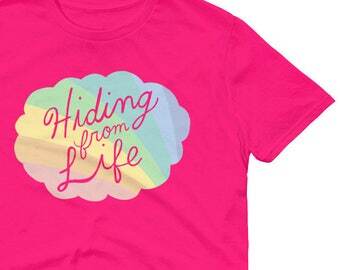 Professionally printed, safely packaged and carefully shipped by my partners.